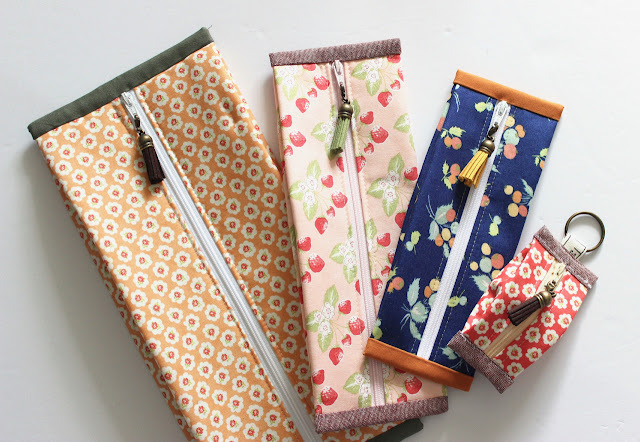 Favorite EPP Tools + a Giveaway! English paper piecing is one of my favorite rainy day projects to work on. I love to grab my favorite supplies, some EPP blocks and get to work while watching a movie or just relaxing. But, guess what? There was a time I couldn't sew a single stitch by hand. I knew nothing! 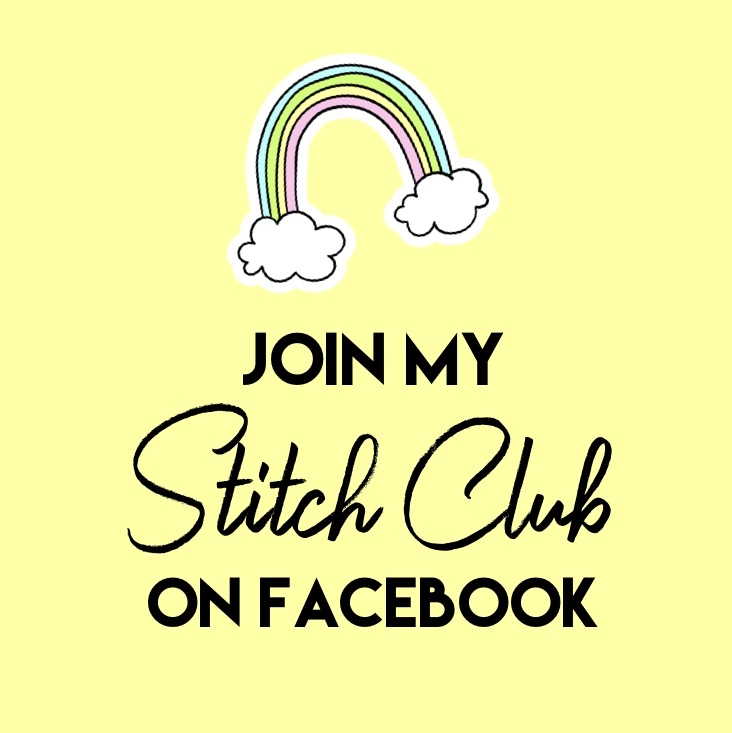 Over the years I've learned some great EPP stitches and I honestly feel like anyone else can too! Even if you're strictly a machine sewist by heart :) So, today I've partnered with a couple businesses to bring you this post to get you started on your EPP journey, and offer up an awesome Giveaway! A big thank you to Sue Daley Designs for sending a very generous package for the giveaway as well as my very own personalized rotating cutting mat! Thanks so much Sue! And a big thank you to Kim of RobotMomSews for sending a thread gloss as well! The other items will be from me! <3 i="">Giveaway details are at the bottom of this post. 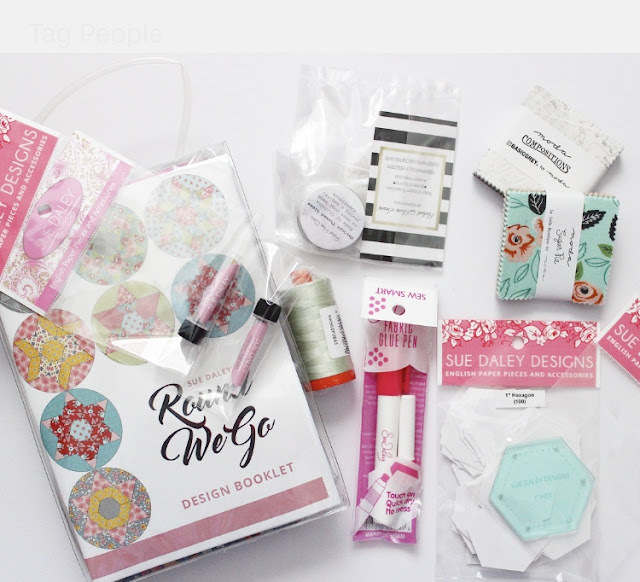 Keep reading to checkout my favorite tools, plus enter to win your very own EPP Kit! First, we'll start out with a basic checklist of necessary supplies. I promise I won't go too overboard and everything is pretty easy on the wallet as well which is great! Im sticking to just the basics! Once you master the basics and have your tools, you can move on to new shapes. Now, I want to talk about some more specific brands, primarily the ones that I know and love and use on a daily basis. You do not have to buy these brands, my Amazon recommendations list provides alternatives. My go-to thread for everything. Aurifil 50wt. thread is smooth and doesn't produce lint or have frequent knots and breakage. You can get it in hundreds of colors, large or small spools, cones, and multiple weights. My #1 website for Aurifil purchases in the U.S. is Hawthorne Supply Co. They have EVERY shade, weight, and multiple spool sizes. I love to buy the small spools in a rainbow of colors, its affordable and perfect for traveling. As an Aurifil Artisan I admittedly use lots of Aurifil threads for all of my projects, but even before I became an Artisan for the company I had a strong love for Aurifil and used it daily. By far my favorite. Ive tried so many brands but nothing compares to Sue Daley. The little tube the needles come in is beyond convenient and super travel friendly, the gold tipped needles make it easy to see when threading and the needles themselves are just superb. They're long and thin which I LOVE! If I don't use a long needle, my hands get so sore and start to cramp. I often use Milliners #10 and #11 size from Sue Daley for hand sewing of all sorts, but especially EPP. They glide through the fabric without leaving a large hole and it just makes everything so seamless. Kim of @robotmomsews has a wonderful little shop where she sells lots of shapes and scents of beeswax thread gloss at a super affordable price. And yea... she even has UNICORN THREAD GLOSS! I have used this glue pen for YEARS, and I'll tell you a little secret: any brand of glue pen refills will fit in these. So you can buy Fons and Porter glue refills at JoAnn fabrics, or Sewline and Sue Daley glue refills online and at quilt shops and they ALL fit! I do every bit of my EPP basting with glue. If you haven't tried it yet, you're so missing out. It is much quicker and provides more secure basting. Small rotary cutters are extremely good at cutting EPP pieces, especially those with curves. Because of their size they're also very easy to travel with and pair perfectly with a small cutting mat. I am not shy about using marking pens anymore, I've overcome my fear of stained fabric disasters. I really love the Sewline Styla Water Erasing pen in blue. Its vibrant but still removes super quick and has a nice ceramic 0.8mm roller ball that doesn't snag or fray fabrics. These brands are my go-to for all paper pieces in any size and shape. For the U.S. the price and speed of shipping is unmatched. I get my items so quickly and I'm never disappointed in anything I've ever purchased, including entire quilt kits. You can also purchase an acrylic cutting template for basically EVERY EPP shape and size that PaperPieces.com sells. Amazing!! If you're interested in entering the giveaway, please use the Rafflecopter app below and follow the directions for ways you can earn multiple entries! Ends July 23rd, 2018. Winners will be notified via email and must respond within 24 hours. Love you EPP post and giveaway. I am brand new to EPP and found your recommendations very helpful! My favorite tool so far is all of the above, but I really love my rotating mat the very best! I’m still learning EPP, and I’m not sure I love it yet. I do like the Milliner’s needles. I don’t know a lot about EPP, but the hexi punch is a huge lifesaver!!!! Just beginning to EPP. It is really a potable and relaxing style of quilting. I made about 70 grandmother's flower garden sets about 15 years ago (thirties) but haven't finished, all those flowers and no garden yet! Now that I see some of these new 'tools', I am itching to get back to that project! I'm very new to epp and loved your post to learn more about handy items. Thanks for the giveaway! This is a great post as I am collecting supplies to try epp and it looks so fun, I can't wait to get started! I love using Robomomsews needle floss, Aurifil Thread and John James needles. I like making my own 1"hexies so I love the punch you can buy from craft stores. Great recommendations! I already use most of the things you mentioned, but I am always looking for better marking pens and really appreciate your recommendation! Thanks for such a great giveaway! I'm an EPP beginner, so I don't have a favorite tool yet! Awesome giveaway! My favorite tool is the rotating cutting mat by sue Daley! Couldn’t go without it! I really like my Hiroshima needles. They are super sharp. I love paperpieces.com and Aurifil thread! I love EPP, I haven't had time for much other sewing lately and EPP always fits the bill! I have never tried EPP, but I am guessing that my Aurifil thread (especially the thin 80 wt would be prefect for it). I’m getting ready to try my first epp project and I’m so excited! There are so many helpful tools to use with EPP - my hexie punch, mini wonder clips, Aurifil thread, a needleminder are just a few of my most often used ones! I'm new to EPP however my rotary cutter was my beloved tool when I make quilts. I just found epp and find it so relaxing and addicting! I'm currently doing the Mandal in sew along and love it! Want to do the ice cream cone one next! My glue stick, ha! There’s a ton of supplies that make it come together but I think this is my biggest game changer. A fabric glue pen. You have the right one. I have had one I have used for years. If anything happens to it I will be devastated. The fabric glue pens are a must have for my quilting.